Why Arendal Sound? That´s the question they ask on their web site. The explanation comes from L-Sound who started in 2005 and in the end wanted to do develop and sell their own products through their own brand. By Magnus Fredholm. Read the original version here. So, L-Sound started up in 2005 in Arendal by Jan Ove Lassesen. His dad ran a TV-shop and the young Jan Ove worked in between selling fish for his granddad and working at the TV-shop. In his free time he played around with his stereo. When Jan Ove finished studying, he worked in the oil industry before he finally had to admit to himself that it was in electronics, he wanted to work and because there was no demand for a small shop in Arendal, it became a webstore. Enthusiasm, skill and service meant that it quickly gained a very good reputation, not unlike our Swedish hembiobutiken.se. After ten years, the story goes that it was a Skype brain-storming between the L-Sound team that eventually led to Arendal Sound and the speaker series 1723 (the year when Arendal was granted city privileges and the right to levy customs duty). 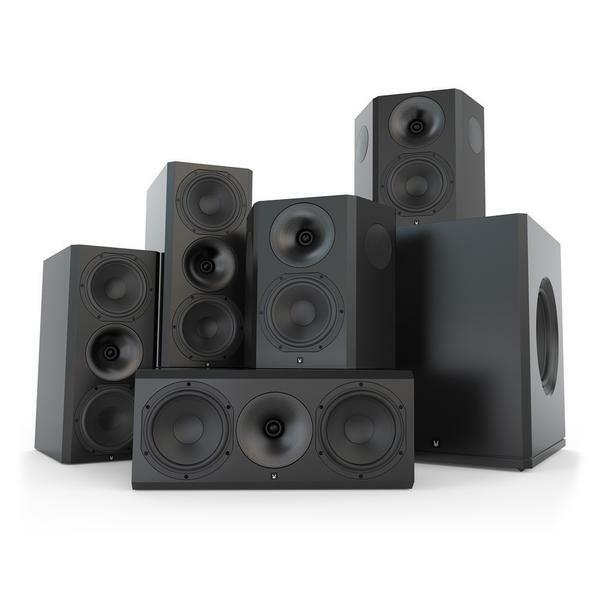 The speaker system we tested consists of a pair of stable monitors with dedicated stands that makes them floorstanding speakers, a center that looks just like the front speakers and a pair of surround speakers with directly targeted sound as well as two four-inchers that plays backward and forward in a dipole coupling. Overall, it’s a Tripoel. Finally, there a subwoofer of adequate size to pressurize our listening room. Common to all speakers of Arendal Sound is that the cabinets are made of what Arendal Sound call HDF. To say the least, it’s of substantial thickness and the internal walls of boxes are lined with damping material, so that they are quite resonance dead. I’m a bit skeptical of the term HDF, because HDF according to the example on traguiden.se, is not manufactured in special thick varieties (and most are used for door leaf) an that it really is MDF of higher density (up to 800 kg / m3), often called premium MDF. black or white color. Matt is the cheapest (and in black by far the best in home cinema), but they are also available in gloss is available for an additional price of €100 per speaker pair. On the back terminal panel, a hefty aluminum plate (bolted with10 machine screws) with massive contacts in Rhodium plated copper. All speaker models in the 1723 series can be bi-amped, except the surround speaker which instead can choose whether it can be wired as a Dipole, Tripole or Monopole. On the back we find inserts for fastening brackets to bolt to the stand. The Surround has keyhole inserts with an outlet at the bottom of the cabinet which lets the cable out when the speaker is flush mounted on the wall. On the back of Center and Monitor we find two ports with two port plugs, so you can choose from sealed or vented enclosure. The sealed variant gives the drier, more controlled reproduction while ported provides significantly deeper bass. We’ve driven them both ways, and for us, the choice for our home theater is simple: Arendal 1723 is best as sealed boxes! We have used the 1723 Stand (€650/pair) as none of the speakers are floorstanders and there are no feet on them. The stands converts the Monitor into a full grown floorstander! On the top of the stand there is a metal cover which is removable and lets you fill it up with lead, sand or something else (as much as you can carry home). Close the metal cover and you have a very rigid stand! The stands are by the way built exactly like the Monitor with internal brace and but the insulation/dampening. We find some unusually large 8” drivers on the front of the speakers with coated paper cones and voice coils (CCAW) for combination with light weight and good conductivity. It’s also been done quite some efforts to make the suspension as symmetrical as possible, meaning same travel both ways. This is obvious from looking at at the external suspension (the rubber edge) and the inner suspension (the spider), but also the wires from the contact terminals to the voice coil. The 8” driver is magnetically shielded on all speaker models, mostly to avoid problems with air cargo regulations. The crossover is built with some impressive components using 24dB/octave slopes and a low as 1.5kHz crossover point. The 28mm tweeter is mounted in a very deep waveguide, and plays everything above 1.5kHz, like a horn, but is not a compression driver. The tweeter is a soft dome and its round waveguide is made of black anodized aluminum. All speakers have a curved metal grill which is wrapped in with fabric to make it more discrete. The combination of black matte enclosure and its curved grill gives an extreme discrete look in the home theater. Inside the cabinets, we find in addition to hefty bracing and dampening mats, two different types of insulation. Partly loose wool that is substantially fluffy, and partly dampening wool that is more rigid. The two versions complement each other according to Arendal and give better effect than using only one or the other kind. Arendal Subwoofer 2 is the model when it comes to drivers, and was chosen as it is considered to be moderate in our cinema room of over 25 square meters. It is an enclosed design with a driver on opposing side walls, 13.8 inches each and driven by a 1 kW amplifier called Avalanche DSP. The baffles are 50 mm thick, while the rest of the walls of boxes is 25mm and the generous dimensions, in conjunction with the opposing woofers allows the enclosure to hardly vibrate even with violent volumes. In the bottom of the enclosure there are M6 threads and rubber feet are included. But you can of course use threads for other’s feet also, if desired. The amplifier has the usual controls for volume, variable phase and crossover, as well as an EQ-rocker in position 1 provides additional low bass, of around 9 dB at 23 Hz. The crossover has selections from 40Hz to 160Hz and works just as expected. The system was delivered to us ready to use, which means we saved 50 hours which is recommended for optimal performance. We started to set up the 1723 Monitor, and tested some different positions. It is difficult to misplace Arendal 1723 as they actually have no strangeness to their sound. As soon as we found out that we wanted to use them in sealed solution they were placed in the standard position for front speakers in our room. The Centre is so big and heavy that it requires a little extra care to placement but since it is as problem free as the Monitors, we placed it below our projection screen angle up a little. We used the Surround as monopoles 30 behind degrees to either side at the rear and as tripoles placed to the left and right for the listening position. Note that the speakers are side dependent so if you swap them around, one of the 4” side drivers will be having wrong phase. The front firing side drivers should be in phase with the front speakers and the rear firing side drivers out of phase. If you plan to use the Surround as 7 channel, you will need to swap the left and right surround back speakers so the side drivers connects with the next speaker. What about the subwoofer? We started to listen to it at the standard position of the room and we did not think more of it really and it was placed there till we removed it for measuring. It is noticeable that the gang at L-Sound has been doing sound for long and that they also come from slightly different sound philosophy background, which may be one reason why they are so clear that the meaning of the 1723 series is that it should work for everyone. No one should ever say that the Arendal 1723 is especially suited for either rock, classical or jazz. And, they should also very proud of how the development of everything from drivers to the boxes and crossovers has happened. I will not reproduce the full story here, it’s at home that are definitely worth a visit. But is this for real, or is it just marketing jippo? I must say that even if Arendals storytelling might feel a little constructed and overly polished at times, after a month of Arendal 1723 in the home theater I can’t find a single thing that feels fake. A little excessive at times, yes, but the story certainly agrees with our experience with Arendal, and it really feels that everything is for real! I admit that the first movie I watched after rigging the system (with the center at -3 dB, the rest at 0) wasn’t an UltraHD movie, no, not even a Blu-ray. I watched the first chapter of Ice Age 2, and for those of you that don’t watch it every week, let me refresh your memory; this is where that little squirrel (or whatever animal it is) finds his nut on a gigantic vertical glacier wall, a wall that starts leaking and then crumbles. I find myself fascinated by the micro details when the squirrel runs over the ice, and when the water starts drizzling, it all sounds so wet, so realistic, that I almost expect to get wet myself. When the glacier then starts to crumble, the subwoofer enters the scene, and it does so by taking control over the air in the room in an authoritarian manner, but without taking the focus away from the movie. In the next scene lots of ancient animals are playing in ice slides and something that looks like some kind of ice age amusement park, and Sid runs the daycare for a group of disrespectful young animals. Here I note that the dialogue also works extremely well, both soft voices as well as loud screams are easily heard, and it is relaxingly easy to follow the conversation. It is time for some more modern audio material. Once again we turn to Transformers: Age of Extinction, and this time we start at chapter 3. The dragonfly that flies around while the water is quiet has rarely sounded more distinct or more natural than this, and when the water breaks the mechanical sound is chillingly realistic. The same happens when the mini drones are released, when Titus Welliver gives the order to blow up the chimney that hides a Transformer and especially when Rachet with a leg blown off begs for his life. It all sounds very realistic and we start commenting on things that none of us have noticed before, things that really lift a worn movie scene we have watched hundreds of times. Small, soft sounds and extreme explosions, dialogue and music, it is all delivered in a remarkably fresh, extremely dynamic and transparent manner and the twin 13.8 woofers dominate the room all the way down to 20Hz. We watch the same scene, the opening of “X-Men: Days of Future Past”, three times in a row: First with the Yamaha processor at -30 dB, then at -15 dB, and finally full throttle at 0 dB. 0 dB is of course incredibly loud, but we still recognize everything, and even at -30 dB the scene is fully enjoyable. In other words, loud or low doesn’t matter, Arendal 1723 delivers both quantity and quality, regardless of the volume! But what about music, then? Well, I must admit that it’s just as fun to listen to music, and that applies both to all channel stereo for a party sound out of the ordinary, or in Pure Direct mode with the foam plugs removed on the Monitor 1723. Timber matching is nothing we whatsoever thought about during the test, it is simply flawless! As for the surround speakers, we used them both as direct targeted and as tripoles, and everyone liked the tripol setting best. It delivers a really good combination of focusing and space behind us. The Arendal 1723 system is not for everyone, but if you do not mind considerably large speakers and want a really groovy home theater experience, you really should consider Arendal Sound, one of the most ambitious speaker projects we have seen in the Nordic countries in recent years. Extremely dynamic and detailed in a way that makes the experience even more intense, it will surely give Arendal many fans, especially people who come from car stereo or live audio.